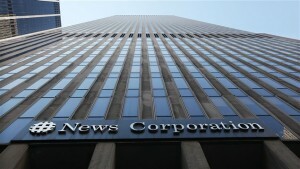 The News Corp. who owns the Dow Jones and Company which publishes the Wall Street Journal and Barron’s weekly business magazine among many others in the U.S. is considering a company breakup into two entities. It would separate the media giant’s underperforming newspaper business from its lucrative entertainment assets. Approximately 70 percent of the company profits come from television. The new newspaper business could include The Wall Street Journal, The Times of London, The New York Post, and as many as other 175 newspapers worldwide. These publishing enterprises contributed $8.8 billion in revenue in 2011. On the other hand, the much more lucrative entertainment enterprises contributed $23.5 billion in revenue in 2011 to the media empire. Rupert Murdoch who is the Chairman and CEO of the News Corp. built the company from a single newspaper in Adelaide, Australia into a billion dollar multi-media giant. The Murdoch family owns 40 percent of the empire and will continue to handle both parts once separated. Rupert Murdoch’s media empire is valued at about $53 billion. A recent phone-hacking scandal at its News of the World British tabloid caused it to close the publication. It is faced with enormous financial strain and decline in print advertising revenue. Ross Bagdasarian Sr. spent $190 of his last $200 in 1958 to buy a state-of-the-art tape recorder that can playback at various speeds. He recorded “Christmas Don’t Be Late” with a fictitious group known as Chipmunks who sang with a high pitched obscure voice. The song later became the No. 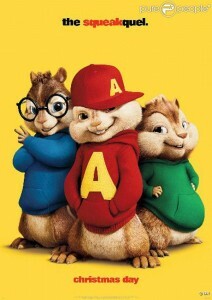 1 Billboard chart, sold over four million copies and created the now famous three Chipmunks: Alvin, Simon and Theodore. Today, Chipmunks is a family owned business based in Montecito, California. Ross Bagdasarian Jr. with his wife now owns the right to the Chipmunks empire. Over the years, Chipmunks popularity came in waves. However, Fox bought the three characters in 2007 and this resulted in creating three hit movies: Alvin and the Chipmunks, Squeakquel, and Chipwrecked. Besides the major movies, there are many other productions, a TV series, several movies on DVDs and other merchandize. The company is also exploring an idea to make a live show that can travel around the world. The current owners are very involved with the business and tightly control the branding of Chipmunks. Once they refused a proposal to manufacture and market a sugary cereal using the brand name. The owners are also involved in several law suits to protect the brand from exploitation. The 1970’s dominant music group, Bee Gees, singer Robin Gibb died on Sunday, May 20, 2012 at age 62 due to his long battle with colorectal cancer and intestinal surgery. The group included Robin and his two fraternal brothers Barry and Maurice. Robin Gibb was born on December 22, 1949 in Isle of Man and grew up in Australia and U.K.
Robin was a solo artist prior to Bee Gees and he became the lead singer for the group. Trio owned 1960’s pop songs like “I’ve Gotta Get a Message to you”. Bee Gees carrier spans more than five decades and sold over 200 million records worldwide. Robin was a singer as well as a song writer. The trio wrote most of their number one hits. Bee Gees were the gold standard for pop and R & B.
Bee Gees also produced materials for such artist like Barbara Streisand, Dionne Warwick, Dolly Parton and Kenny Rogers. 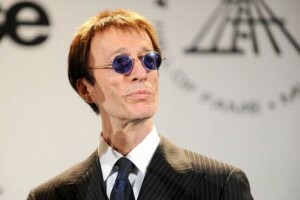 Robin Gibb received a CBE from the Prince of Wales for his contribution to music. Robin’s twin brother Maurice died in 2003 and only surviving Bee Gees is Barry, age 65. Robin was married to Molly Hullis in 1968 and together they had two daughters. They got divorced in 1980. Article written by David Guillod. You may have noticed in the opening of a movie that there are two titles, producer and executive producer. You may have even asked yourself why make the distinction at all? To be quite frank, there are multiple stark differences between the two roles. Here, we’ll explore what each role does when it comes down to the making of a film. Also known as the manager of a movie, the producer is tasked with all aspects of the production. This person promotes the film, reviews the initial script, and much of what goes on in between. The producer reports to the executive producer who proceeds to direct him or her. Once funding has been received, it is up to the producer to ensure that the film adheres to the overall budget. Moreover, it is also his or her duty to hire and coordinate individuals with the right skills necessary for the creation of the film. 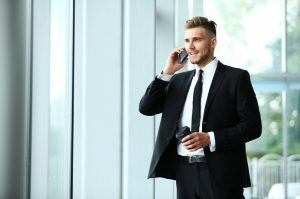 An executive producer prepares the budget for the operation, and may get the funding from either investors or his or her own production company. Normally, these investors are considered “executive producers” as well. The executive producer also hires the producer but does not take care of the rest of the hiring process. He or she directs the producer to ensure that the production process is going as planned and on time. Although he or she may not oversee the technological aspects of the film, the executive producer can give advice and contribute to the creative portion of the movie. Moreover, the executive producer should also organize the legal documents and scripts that are necessary for the creation of the film. David Guillod is an accomplished talent agent and film/TV producer who has steadily built acclaim through movies like Atomic Blonde and TV series Louder Milk, which has won multiple Golden Trailer Awards. He has also held senior positions at Handprint Ent., United Talent Agency, and Primary Wave Entertainment. Visit David Guillod’s profile on Instagram. Summary: Video streaming services are becoming a huge part in everyday life. It’s up to you to decide which service is worth your investment. 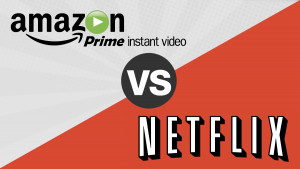 Netflix and Amazon Prime are two of the largest players in the movie streaming market today. While both have their pros and cons, this guide is designed to help you cater to your interests and make your investment more worthwhile. Needless to say, video streaming is now a major part of daily lives, pushing TV services in the depths of solidarity. The convenience of having movies and TV shows at your fingertips at any time of the day allow for users to access it whenever they want. This means no more recording shows, forgetting to watch your favorite series, or even have trouble with reception and service. Before diving into the pros and cons, you can experience both services by signing up for a 30-day trial. This is strongly suggested and is also good way to play around with all the features. Netflix recently changed its stars rating system to a “thumbs up/thumbs down” system. Previously, users were able to rate a show or movie from 1-5 stars. However, Netflix claimed the system was flawed – hence the drastic change. While this isn’t a dealbreaker, it’s worth mentioning as it can take a while to adjust to. You’re probably already aware of all the basics of both services, but both allow for media streaming on Smart TVs, game consoles, computers and laptops, and mobile devices. Additionally, both streaming services are regularly updated with new shows and movies to watch – you can even check their official website to see what’s releasing. This is where it gets interesting however. While both services offer unlimited streaming, the variety is significantly different. There are shows that are available exclusively for one network as opposed to the other. It’s recommended that you take a look at both sites and search for a specific genre that you mostly watch. Take a look at the variety of movies and shows that are available and go from there. Avatar made 3D popular and was thought be the next big thing in movie theaters and at home. Sadly, not all movies took to 3D and the ones that did were mostly poor uses of the technology. There are several theories on why 3D failed, but the most believe that it will make a comeback when glassless 3D is a possibility. Still, almost all TV’s have 3D support. This is the next big thing is basically an increase in the number of pixels on the screen. There are various names for the standard but the most popular (aside from 4K) is UHD (for Ultra High Definition). The resolution of a UHD display is 3840×2160. The problem for 4k is both the lack of content and the fact that people are already talking about 8K. As a result, there are plenty of shopping deals for 4K TVs already. HDR stands for High Dynamic Range and has the ability to display a much wider spectrum of colors. The goal is a much more realistic depiction of real life on screen. It does this by preserving the details in the brightest and darkest parts of the screen. These details are lost in current TV standards. One thing to look out for is the contrast ratio and brightness on the shopping website when buying an HDR TV. Costbuys requires customers to think about their pantries and their homes a bit differently when they buy online as they get a discount online when they place orders for larger quantities. Sound deadening foam has many uses that determine how sound moves around a room, and how it fills the space in that room. Using different foam panels, you can redirect sound, eliminate white noise for a crisper recording, dampen bass and more. It’s all about learning which panels are best for diffusion, and which are best for absorption. When you diffuse sound, you spread it throughout the space. Diffusion is good when you need to hear something in a larger space. It helps reduce echo, while filling the room with sound. 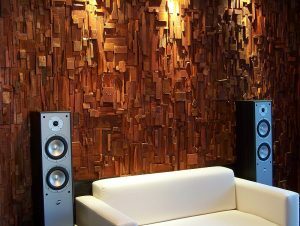 These types of acoustic foam panels tend to have sharp edges to them. The sound just bounces off those edges at it travels through space. Deadening the sound in a room helps to remove echo, reduce white noise exposure and create an excellent space for recording. Sound deadening can also be useful in apartments, where loud music systems can cause problems with neighbors. In general deadening panels tend to be much flatter than diffusal panels. Appearance also plays a role, which is why eggcrate is the least expensive option for sound deadening. If you’re trying to build a professional recording studio, grid or wave panels are going to be your first choice. They look nice, do the job well, and provide the best absorption for the cost. You may also want corner bass absorbers, which help to remove echo that the acoustic foam can’t catch in the corners of the room. The Foam Factory, Inc. carries a variety of sound deadening foam panels for use in the home, or at a professional recording studio. Celebrities have their own hairstylists and makeup artists to improve their looks. Makeup tricks and corrections make celebrities more attractive. Their hair is always styled and their skin always looks flawless. You may not have makeup artists or hairstylists at your beck and call, but it doesn’t mean that you can’t achieve the looks of celebrities. Here are 6 really simple celebrity looks that you can copy. Selena Gomez’s elegant bun can be achieved by brushing your hair into a high ponytail using a paddle brush. Pull your ponytail through a hair donut in order for it to sit on top of your head, then spread your locks around. Tuck your hair around and underneath the hair donut. Use bobby pins to secure your hair and top it off with an anti-frizz spray to keep it in place. It’s possible to achieve Miranda Kerr’s radiant skin. Use a light-reflecting foundation for the base, then apply a highlighter stick on your nose, cupid’s bow, cheekbones and brow bone. Apply a peachy pink gloss on your lips and finish your look with individual lashes. If you want to copy Kendall Jenner’s cool half-up ‘do, just apply a thickening hair gel around the crown of your head then grab the hair from your crown and twist it into a high bun. Secure the bun with a tie and spritz some texturing spray on the remaining locks. To achieve Elizabeth Olsen’s rose-colored smoky eyes, apply a burnt copper shade across your eyelids. Use a shimmery brown liner to define your lids, then use your fingers to blend the different shades. Apply a black coat, then pump up your lash volume with some mascara. After that, dust your cheeks with a bronze blush and finish off with a matte, peachy brown lipstick. Use a rat-tail comb to make a deep side part. Start from the arch of one eyebrow, then apply a styling cream to your hair. Brush your hair back to your nape. Gather up your hair and twist it firmly at the base of your head in order for it to naturally coil into a chignon. Tuck the twist and use bobby pins to secure it. For extra shine, spritz some dry, finishing spray on your hair. If you want to try Gigi Hadid’s sultry lips, use a mauve-tinted brown pencil to line your lip. Apply a liquid lipstick in the same color. To balance the color, apply shimmery champagne shadow on the inner corners of your eyes. Finish it off by applying a luminous bronzer on your jawline, cheekbones and temple. Adore Cosmetics uses organic fruits and botanical extracts to offer innovations in skin care driven by formulations from plant stem cells, gold, vitamin C and more to promote smooth, youthful-looking skin. Read Adore Cosmetics reviews online at Adore Cosmetics.